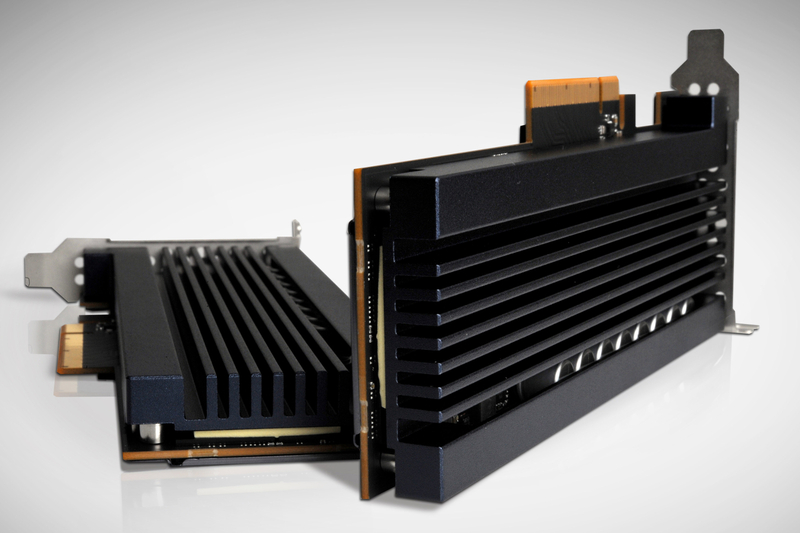 Following its arrival in the enterprise market earlier this year, last month brought news that Intel had launched Optane SSD 900P, a consumer version of the solid-state drive based on 3D XPoint technology. But Samsung is looking to challenge Optane with its own blistering fast storage tech derived from its fourth-generation V-NAND tech: Z-NAND. The Korean giant has just released specs for its SZ985 Z-NAND SSD. Not only does it appear to offer similar, and in some cases better, performance than Optane, but it will reportedly be easier on the wallet, too. The SZ985 Z-NAND SSD has Intel and Micron beat when it comes to sequential read/write throughput, boasting 3.2 GB/s for both numbers, whereas Optane offers 2.4/2 GB/s. Samsung’s drive also has impressive read/write IOPS ratings: 750,000/170,000, compared to Optane's 550,000/500,000. One of the area's where Optane comes out ahead is read/write latency, but not by much. The Z-NAND drive boasts 12-20µs latency for random reads and 16µs for random writes, which is around ten times better than most other NAND-based SSDs, and only slightly worse than Optane’s 10µs/10µs R/W latency. Providing Samsung launches the SZ985 drive at a competitive price point and without any supply problems, Z-NAND could have quite an effect on the popularity of Optane, especially if it gets the software support right. As was the case with Intel and Micron's first 3D XPoint NVM—the DC P4800X—the SZ985 drive is aimed at enterprise customers. Samsung suggested it can be used to increase performance when using databases like RocksDB and MongoDB. Expect to see consumer versions arrive sometime in the near future.